It’s beginning to feel a lot like winter. As soon as the maize harvest was finished, and the tractor drivers were able to take on some morning scraping shifts, we housed the cows full time. 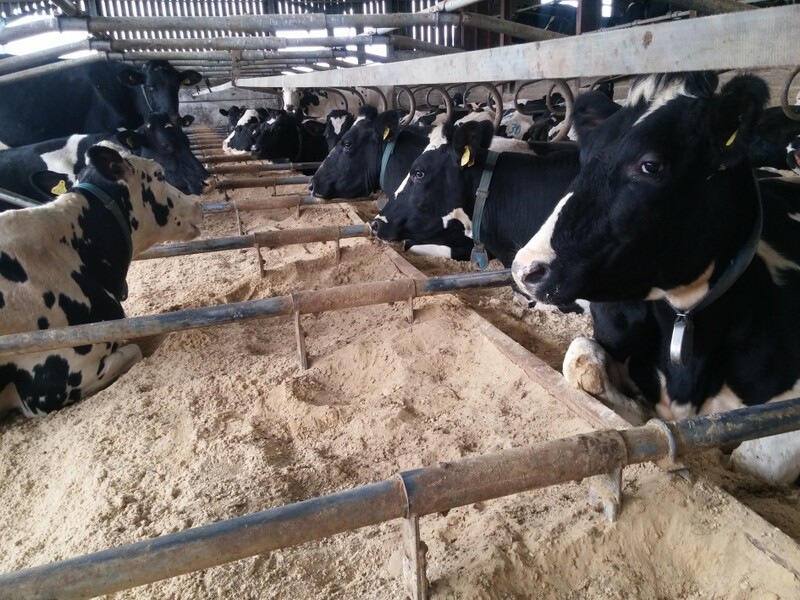 The cows have happily settled into the winter routine, delivering good yields and showing strong heats. The first round of AI has gone well. With 500 cows and heifers served in the first three weeks, we are not quite at our target of a 90% submission rate, but we’re not far off. We’re now on to repeats, which are both unwelcome, as we’d like everything to be in calf already, and welcome, as they demonstrate that we are picking up the returns. This winter we have direct drilled 50 acres of wheat into maize stubbles, which looked terrible when it was drilled, but is now coming up well. Time will tell whether this technique will deliver equivalent yields and quality, compared with a conventional plough and power-harrow approach. It is the season for blazing fires, and we certainly have one now that the wood chip boiler is up and running. We’ve been amazed at how little ash it produces, which indicates that it is working very efficiently. So far it seems to be extremely effective, as well as environmentally friendly. With the heating sorted, we are now addressing our cooling problem. In spite of the onset of colder weather, we have in fact been running low on ice. Our existing ice builder, which we use to cool the milk, has come to the end of its life after 20 years’ faithful service. Despite not being on the budget, we have decided to replace it, and expand our cooling capacity by installing a bigger replacement. We’d like to wish everyone a very happy and blessed Christmas. Though the weather outside be frightful, may your fires be delightful!